For most places in the northern hemisphere, the months of May and June mark the transition from spring to summer. Even in the mountains snow is melting and most of us start thinking about biking, running, surfing and hiking. However, winter may be over, but there are still some spots where it’s possible to go skiing. Inside the Arctic Circle it’s light most of the time through May and June. The long daylight hours open up many possibilities for big adventures, especially for those prepared to earn their turns on touring skis or a splitboard. By this time of year the snowpack tends to be more stable too, so riding steeper terrain is sometimes a possibility. May and June is also a great time of year to go heliskiing. Flying over the Arctic wilderness to the top of a line, with the midnight sun as a backdrop, must surely be one of the better ski experiences you can have. So, it’s still game on if you know where to go. Here are a few suggestions. In the land of fire and ice, it’s possible to ski right into June, especially up in the northern fjords. 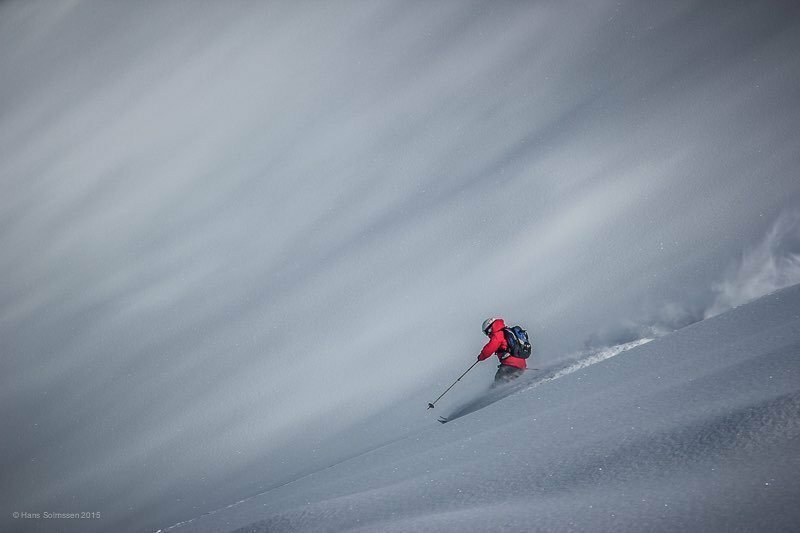 The big Atlantic storms that batter Iceland all winter and spring usually leave a deep maritime snowpack that lasts well into early summer, creating great conditions for freeriding on stable spring snow. Arctic Heliskiing is dedicated to finding terrain and runs never touched before in this expansive ski area. The Troll Peninsula is also a perfect spot for springtime heliskiing. 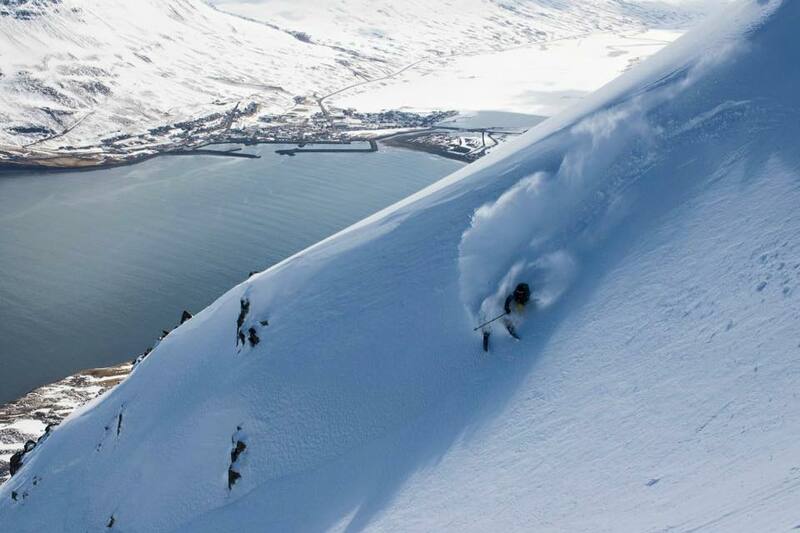 The talented guides of Viking Heli Ski will show you Iceland’s incredible backcountry. The skiing there is characterised by long runs in open terrain. It’s the kind of place for making big, fast turns all the way to the seashore. Skiing above the ocean is a special thing to do. It really adds another dimension to the experience. 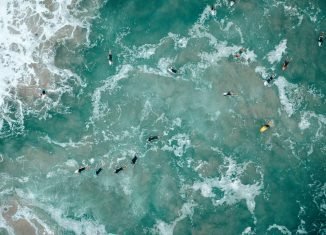 The deep fjords and beautiful mountains that rise straight out of the sea in Iceland make it the perfect place to go for anyone looking to sample some coastal shredding. For apres ski or rest days Iceland has a great deal to offer also. Geothermal springs are perfect for aching muscles and the local food is great too. Svalbard is part of Norway, though it’s actually situated about half way between the Norwegian mainland and the North Pole. With a permanent population of only around 2000 people, Svalbard is a wild and remote archipelago that has many unexplored mountains. Despite gaining popularity as a backcountry skiing destination in recent years, in reality this is one of the quietest and most remote places you can ski on the planet. 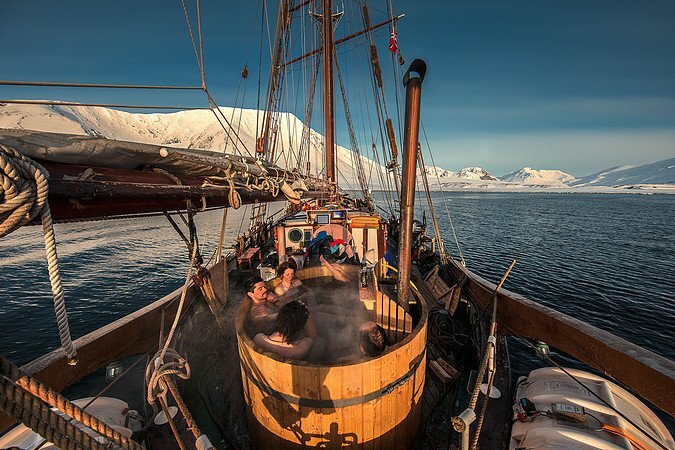 A boat is the perfect way to explore the coastal fjords and inlets of Svalbard. The large and spacious Opal takes you to some of Svalbard’s most remote mountains where the snow is exceptional and the crowds are non-existent. Through May and June there is almost endless daylight which provides great flexibility to make the most of weather and conditions. It also guarantees you’ll come away with amazing photos – there’s something really special about arctic light, it adds an extra level of beauty to an already very special place. 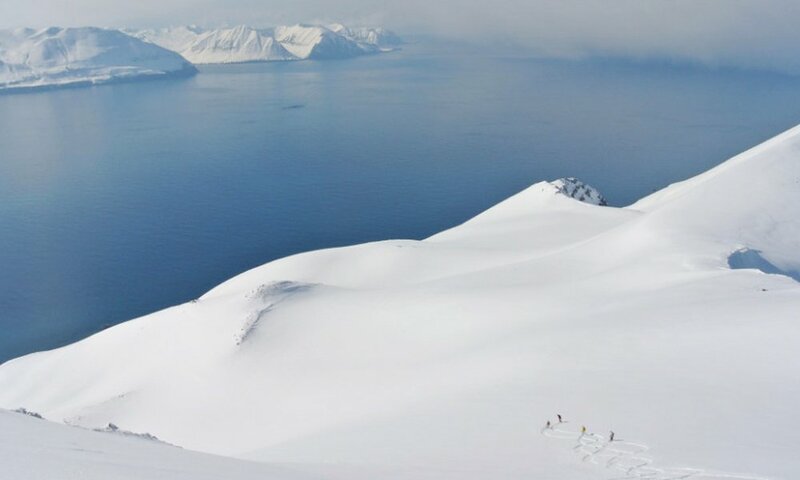 Skiing in Svalbard is all about great snow on untouched lines. 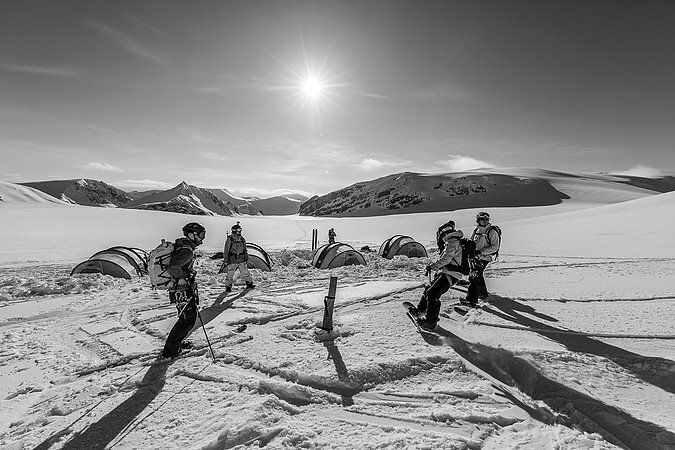 There’s a genuine feeling of adventure and exploration when skiing in Svalbard. There are no helicopters here, just peace and silence. Earning your turns is the way to go and standing at the top of a remote line after a few hours of effort in the skin track is a really rewarding experience. There’s also the chance to see rare and exotic Arctic wildlife like polar bear, walrus and arctic fox. The world’s largest island, Greenland is a vast country stretching from the Arctic Circle almost all the way to the North Pole. Greenland’s interior is completely covered by an ice cap but on its fringes near the coast there are many mountain ranges waiting to be explored. There are small populations of people who live along the west coast and this is where some of the most spectacular heliskiing in the world can be found. 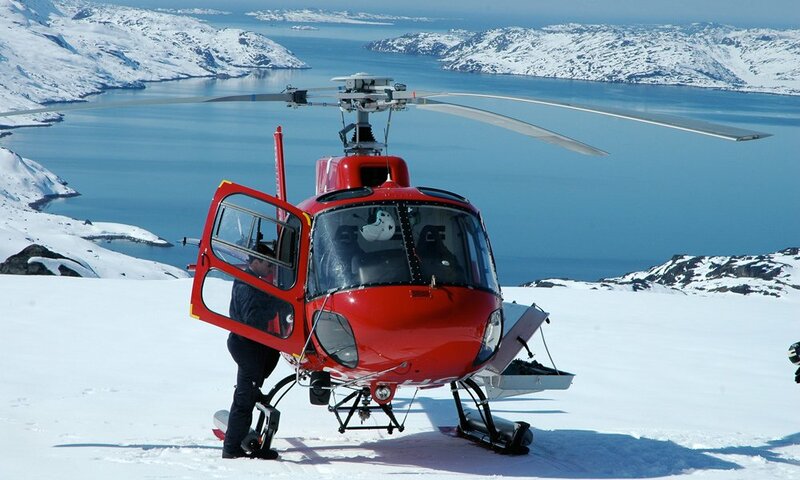 Because the place is so big, Greenland heliskiing provides a great option to access the best runs. Travel on land is conceivable, but heli’s make multiple runs a day possible. They also provide fast access to the alpine enabling skiers to make the most out of periods of good weather and snow conditions. Snow conditions in May and June on the west coast of Greenland are usually a combination of spring snow and powder. Due to the northerly location and freezer-like influence of the icecap, powder can often still be found on northerly aspects. On all other aspects spring snow usually predominates. The thick maritime snowpack is usually relatively stable so skiing steep lines is sometimes a possibility. Big vertical of up to 2000m is also possible in Greenland. So, for those stoked enough on winter to keep searching for it even as summer approaches, there are possibilities out there. May and June can serve up some amazing skiing experiences. In the northern hemisphere at least, heading north to the Arctic is the key.